يقع Sails on Horseshoe في Horseshoe Bay, ماجنيتيك أيلاند, هو خيار شائع بين المسافرين. يمكن من هنا للضيوف الاستمتاع بسهولة الوصول إلى كل ما تقدمه هذه المدينة النابضة بالحياة. يضفي محيط الفندق اللطيف وقربه من Horseshoe Bay Markets, Gavin Ryan Studio, ‪Magnetic Island Forts Walk‬ سحراً خاصاً على هذا الفندق. إن الخدمات التي يقدمها Sails on Horseshoe تضمن للنزلاء إقامة مريحة. يمكن للنزلاء الاستمتاع بالميزات التالية: واي فاي مجاني في جميع الغرف, مطبخ, مرافق مخصصة لذوي الاحتياجات الخاصة, صف السيارات, غرفة عائلية أثناء إقامتهم في هذا المكان الرائع. تتضمن كل غرف النزلاء وسائل الراحة والتسلية المصممة خصيصاً لضمان الراحة القصوى للضيوف. سواء كنت من محبي الرياضة أو كنت تتطلع لتفريغ عناء نهار صعب، ستجد خدمات ذات مستوى عالي بانتظارك كمثل حوض استحمام ساخن, حمام سباحة خارجي, سبا, حديقة, رياضات مائية (غير آلية). مهما كانت أسبابك لزيارة ماجنيتيك أيلاند، فإن Sails on Horseshoe هو الخيار الأفضل لإقامة مثيرة وممتعة. Sails on Horseshoe are clean apartments, with everything a young family will need to make the most stunning location, our studio was overlooking the beach. The owners could not do enough to make our stay enjoyable, offering us beach towels and toys for our son to play with. The friendliness was contagious with guests all greeting each other and offering advice on what there was to do. It felt like a home away from home. Across the quiet road from the studio our son played in the sand as we relaxed under the palms and just outside the backdoor of our apartment was a shaded resort pool that we all loved, our son was telling us when to get out, it is usually the other way around! We loved that we could enjoy the view from the patio whilst he had his afternoon nap (longer because of all the swimming), it was very relaxing. Sails is at the quiet end of the bay with the amenities and restaurants of Horseshoe bay just a few minutes walk away. The only negative was the lack of kids menus at the restaurants we visited some were helpful and made to order and others charged the full adult price which not great when you know your 2 year old wont eat much, so we shared ours. Next time we will bring groceries and prepare meals in the fully equipped kitchen in the apartment and ensure that our son has a varied diet and all he needs to keep up with all the swimming! The location, the cleanliness and staff performance was outstanding. 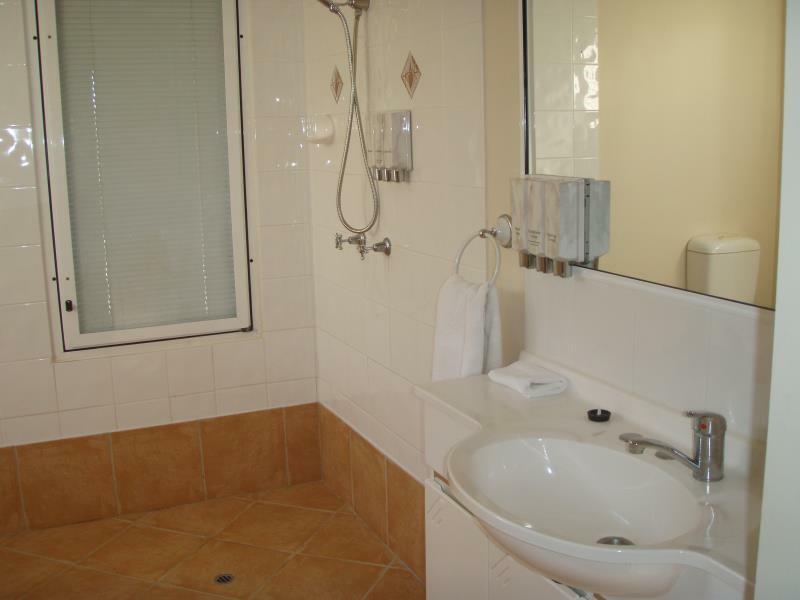 We had a front beachside 1 bed apartment, it was spotlessly clean, very comfortable and had everything we needed. Just out of the main shops it was quiet and had uninterrupted views of Horseshoe bay. Use of Scooters and car was an added bonus. We would highly recommend a stay here and will be back. This facility has excellent rooms, all air conditioned and with fans. The kitchens are full size and the 2 bedroom units have a laundry with washer and dryer. 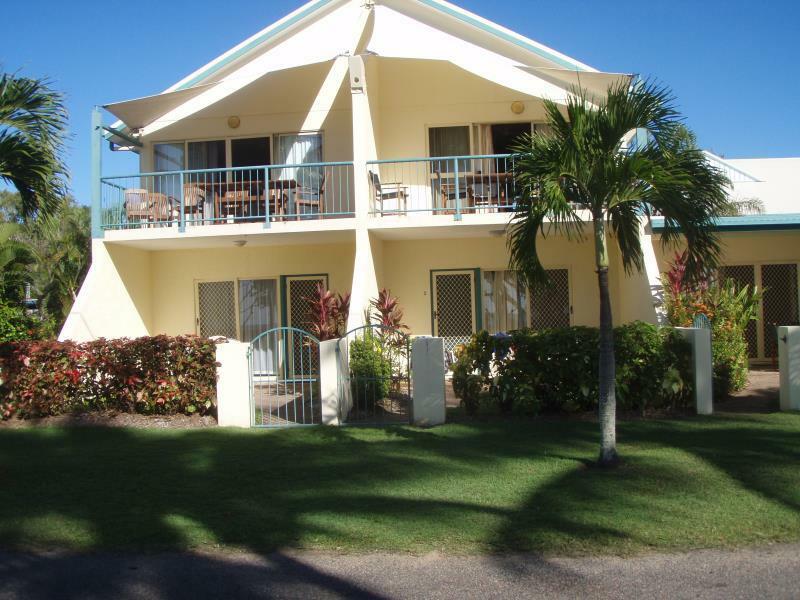 We stayed in the ocean front 2 bedroom units which had downstairs accommodation with toilet and shower. Upstairs had a lounge room and full sized kitchen and laundry with a second toilet but no shower. could have at an extra shower. When we checked in there was confusion between our reservation and that of my daughter. When my daughter checked on the bookings a few months before the date, she discovered that my reservation had been cancelled without my knowledge. Luckily she was able to rebook using my Agoda reservation number. Self catering - Sails had everything you need for a holiday stay. Great location - quiet, right across the road from the beach. Clean and perfectly presented. We had a great stay of 6 nights. We loved the location and the rooms. It was perfect for us - there were three of us but the apartment could easily accommodate 6. 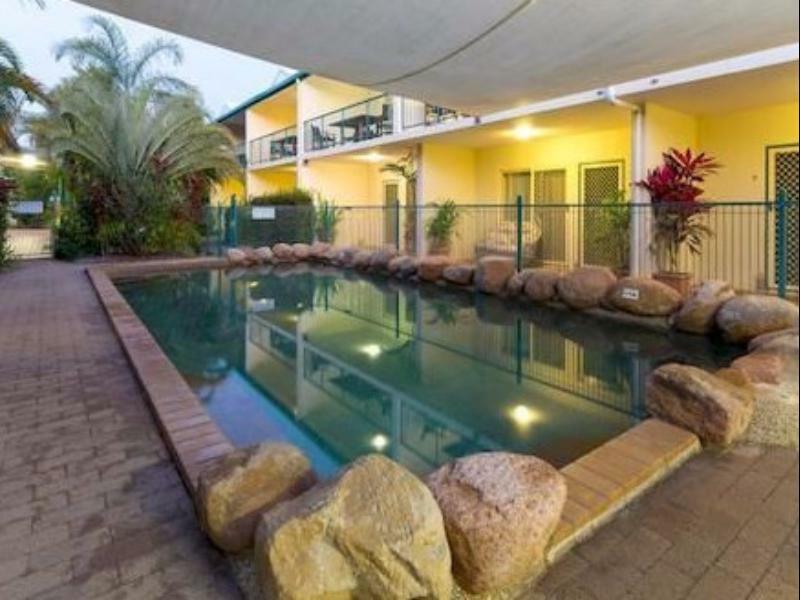 It was quiet, had great facilities, and close to all that Magnetic Island has to offer. We will certainly look to stay at Sails next time we visit. Maggie. I don't normally provide these Reviews but we were so happy with our experience. It was a great stay and great value, very comfortable . I would go back anytime. The staff were very friendly and very accommodating. We booked for one night and ended up staying for 3 nights. The hotel is right on this beautiful,peaceful beach and with the moon you can see reflecting on the ocean while sitting on your balcony. I would go back there any day. You can also rent some kayak and go for a paddle just there, at the front of your room. The layout of our apartment was slightly obscure with the bedroom downstairs and balcony upstairs, yet this didn't make our holiday any less enjoyable. The lovely owner/manager allowed us to leave our bags in the room for an extra 6 hours before catching our ferry home. Vom Balkon hat man schönen Meerblick. Nette Cafe' s und Restaurant zu Fuss erreichbar. Unschlagbar schöner Sonnenuntergang. l'albergo è di fronte al mare. il nostro studio era spazioso e confortevole. la pulizia della camera e del complesso in generale non è stata eccellente. il personale è stato gentilissimo e molto disponibile. la vera nota negativa arriva dall'isola che a mio avviso non merita.